The Shakerite is the award-winning Shaker Heights High School student news organization, covering senior pranks, the state of the schools and everything in between. With four print issues each school year, The Shakerite currently publishes most of its content online. Readers can receive updates from The Shakerite’s Facebook and Twitter accounts, as well as sports news from the Raider Zone Twitter account. The Shakerite is a member of the National Scholastic Press Association and the Columbia Scholastic Press Association. It received a gold crown award from the Columbia Scholastic Press Association in March 2014 and 2015, with silver crown awards in March 2016 and 2017. It has recieved awards such as Editorial of the Year from NSPA in 2016 and best Breaking News Story from CSPA in 2017. Additionally, The Shakerite has most recently placed in the top 10 in the Newspaper Tabloid category at the NSPA/JEA fall conventions in 2012 and 2013, as well as the Publication Website Large School category in 2013. Opinions expressed in columns are those of their respective authors, and do not represent the views of The Shakerite, Shaker Heights High School or the Shaker Heights City School District. The editorial board comprises Chairwoman Emilie Evans, Ainsley Snyder, Astrid Braun, Ashley Sah, Lauren Sheperd, Emet Celeste-Cohen and Mae Nagusky. The editorial board’s editorials, called the “Rite Idea,” present the views of the editorial board; however, they may not reflect the opinion of The Shakerite’s entire staff. The board rules on ethical, staff-related and logistical issues within the paper. The Shakerite is organized through an introductory Honors Journalism I and II class in which students learn reporting and designing skills. After this, the reporters apply and interview to become section editors or Business Team members in the Newspaper Production class. Some of these editors apply to join the Executive Team as a managing editor or editor in chief in their junior or senior year. In addition, most photographers do not take the “News Prod” class, but are managed by the Visual Managing Editor, David Vahey. The Business Team, which is both in-class and out of class, manages The Shakerite’s finances, trips, and advertising. It is led by Chief Financial Officer Sam Klein. Readers may contact The Shakerite at (216) 295-6210, at shakeriteserver@gmail.com, or at 15911 Aldersyde Drive, Shaker Heights, OH 44120. For inquiries related to The Shakerite’s social media accounts, please email Web Managing Editors Mae Nagusky and Ellie Vahey. The Shakerite’s adviser is Natalie Sekicky, who can be reached at shakeriteadviser@gmail.com. To submit a question, story idea or information regarding an already-published story, click here. To submit a letter to the editor, click here. 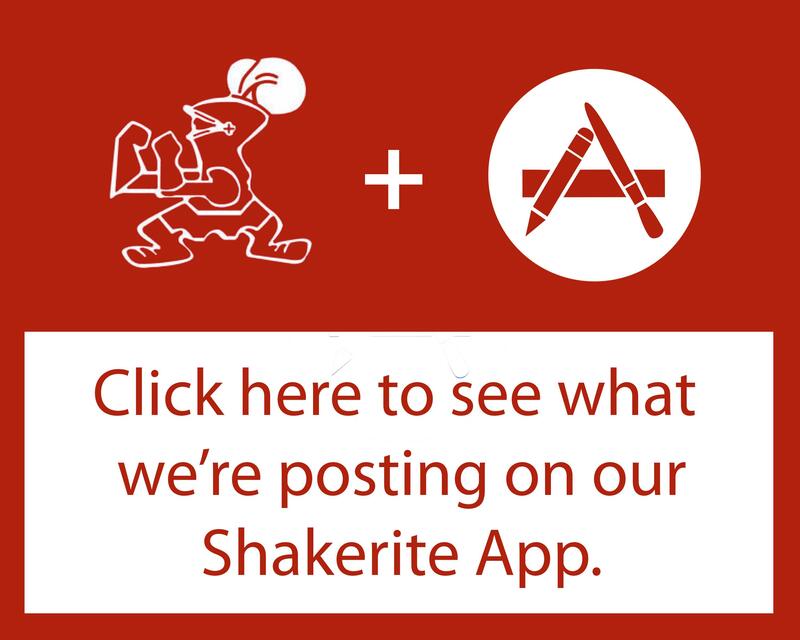 For questions regarding how to join The Shakerite, click here.